This week has been a week of snuggly days at home, meeting friends and ending on Mother’s Day. We spent it together at home and in the afternoon both sets of grandparents came over for cake and tea. Holly has always loved playing with her toys and more recently she has the concentration to spend time completing a puzzle. She sat here and did her butterfly puzzle four times and was very happy with herself each time she finished. Alice loves to take a toy or book for show and tell at preschool, she gets very excited at the chance to show her friends something that she loves. 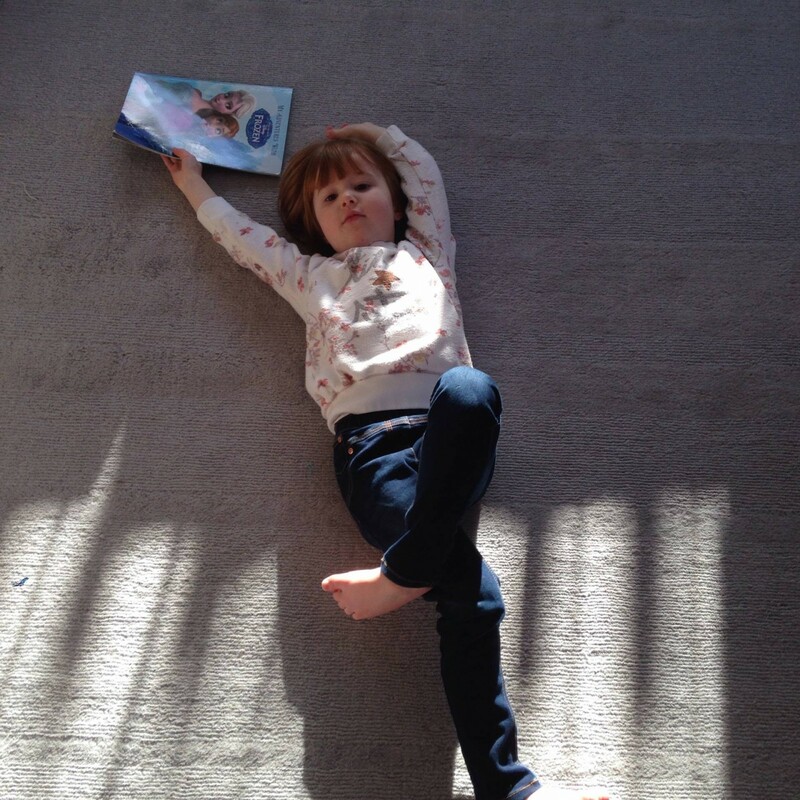 Here she is just before we were about leave reading her Frozen book, I love how relaxed she looks, but she looks so grown up here and I am not ready for that. Alice really does look relaxed. That’s a pose that N often puts himself in too. I can’t believe she’s at preschool rather tha receotion. She looks so long! 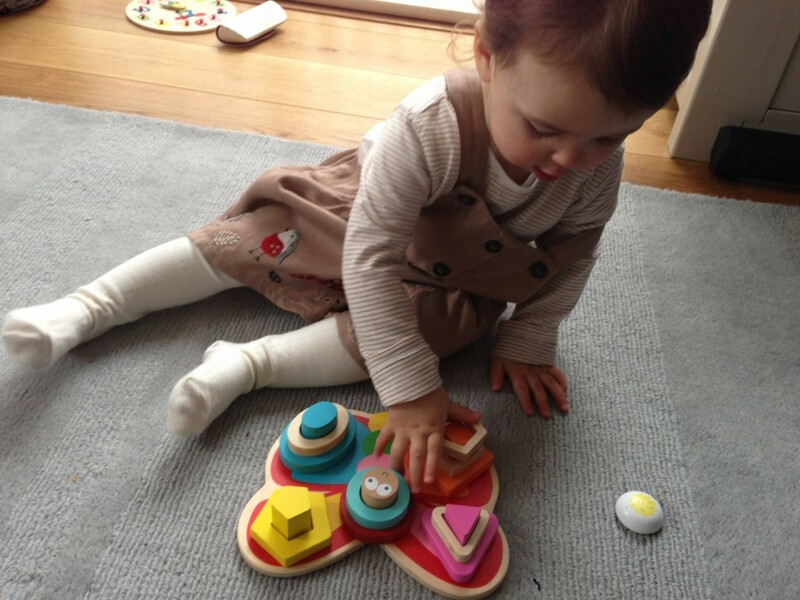 Love the look of that butterfly puzzle and my little one loves lying on the floor to do everything! She sat there for ages! It’s funny sometimes she looks uncomfortable, but tells me she loves it!